DIY/GIY Window Boxes - Sun has arrived! Window boxes need no introduction. Picture the classic eye-catcher: a narrow box perfectly co-ordinated to match your home, abundantly spilling with ivy, geraniums, pansies, and petunias. You can create your own masterpieces very easily and reasonably too. With regular watering, care and attention, you can achieve window boxes at home which are sure to last until early autumn. 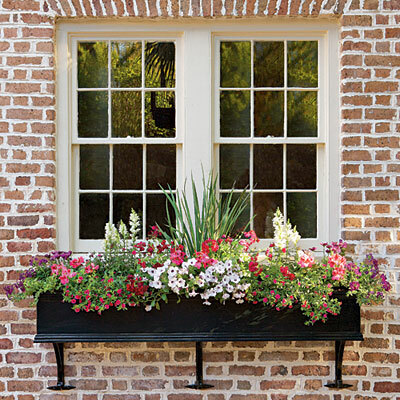 A window box looks best if its length is within a couple of inches of your windows. Choose a window box in a finish and a colour that complements your home. Plastic window boxes are the most reasonably priced and come in a wide range of colours and sizes. 2. Make sure you choose good quality compost. Many compost types now have built in feeds and nutrients which will increase your success in healthy growth. **Remember not to over crowd your planting arrangement- flowers need room to grow. To begin, you simply plant the same way you do in any container. Cover the drain holes; fill with horticultural grit, and firm compost around plants, leaving at least 1 inch at the top for watering. 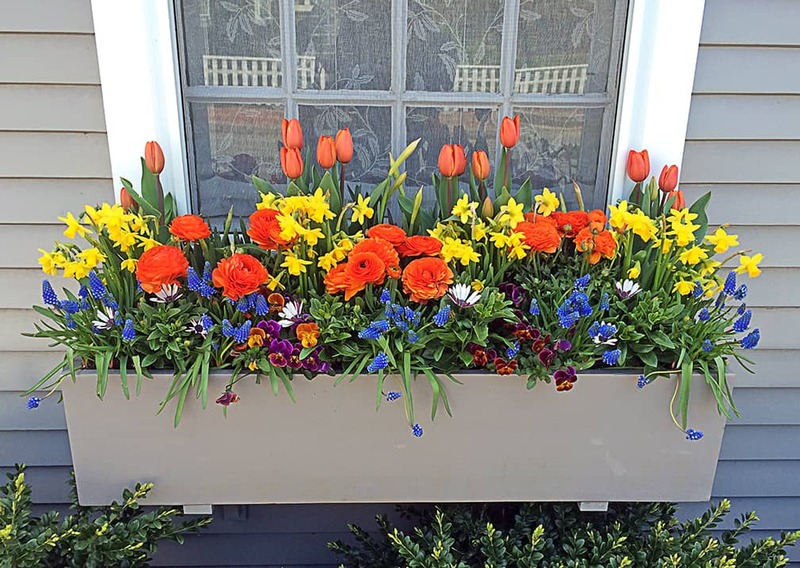 Remember window boxes need care and attention. Begin with regular watering, feeding with a liquid fertilizer, and dead heading and pruning to remove faded flowers and leaves. This will give the plants the best shot at growing fuller – creating beautiful window boxes for you to enjoy! Choosing a container and compost is a fine start for window boxes, but picking the right plants really makes the difference in your growing success. Generally, select a mixture of trailers and compact upright bedding plants that will grow tall enough to be seen without blocking the window. You can really be creative with the styles of plants and the colours you choose. Have fun with it and enjoy DIY window boxes this summer at a fraction of the price of getting them pre-made. 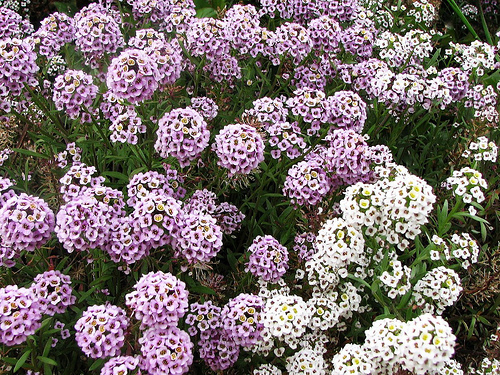 · Alyssum: Reliable, fragrant upright filler in white, pink, and purple. Alyssum is exceptionally easy to grow and fills in beautifully, often reseeding itself. 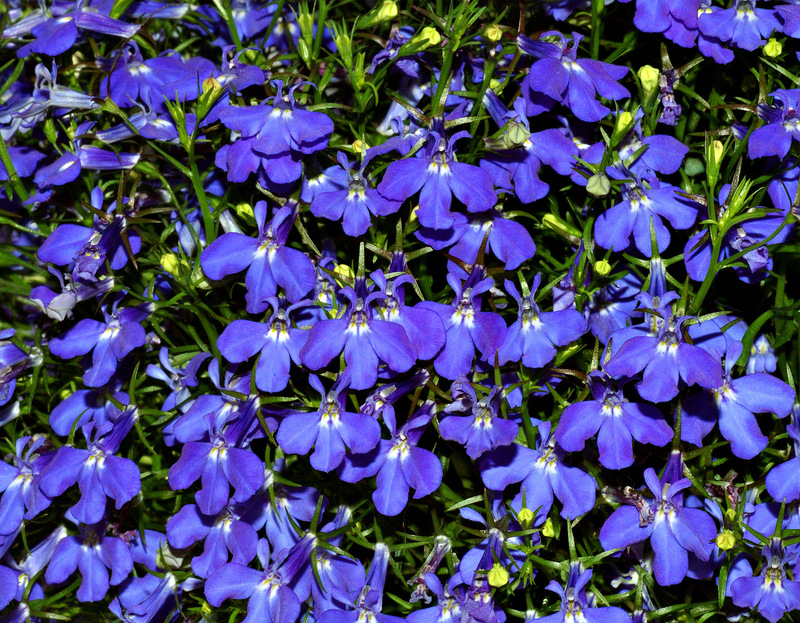 · Lobelia: Tumbling cascades of color in white, sky blue, dark blue, red, lavender, and pink. Simply great in window boxes. · Pansies: Perfect in any box or garden tub or container. 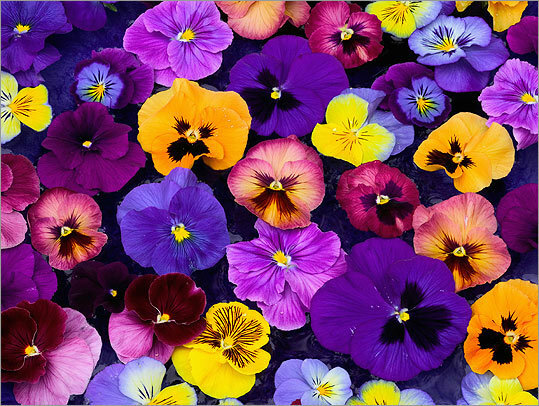 Pansies offer prolific colour in many hues and will quickly fill gaps between plants. Our best-selling bedding plants by far- Tipperary's favourite. · Petunias: Choose these when you want a stunning summer box that shines in the sun. Try trailing varieties, as well as uprights, for an abundance of blooms in a wide range of colours. 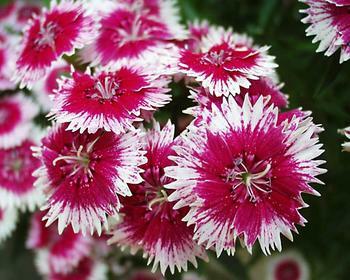 · Dianthus: Perfect for both fragrance and colour. If all goes well, and a gentle breeze blows it sends sweet scents through your open windows. · Geranium: Also ideal in hanging baskets, this one also works really well in window boxes, available in both upright and trailing stems covered with bright vivid flowers. Easy to grow and care for, long lasting. · Ivy: stems spill from your window box in green or variegated tones. It’s good to remember that salad leaves, lettuce and herbs can all be grown in a window box too. Ideal for any kitchen window. Plastic window boxes are available in store in many sizes and colours. Many types of composts, fertilisers and feeds are too. Our garden centre is alive with scent and colour. Call in today for everything you need for your window box project.